We appreciate our veterinary partners who refer so many of their clients to us, and we love going the extra mile to help dogs and humans enjoy the best possible life together. 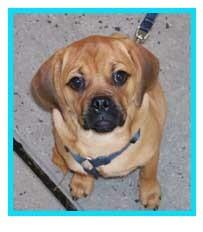 Here’s some of their feedback and more pictures of some of our cute puppy school "grads." 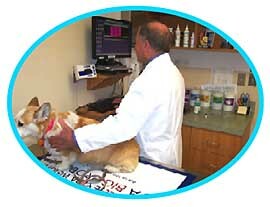 "We have been working with Howard Weinstein and Day-One Dog Training for many years. He is the consummate professional and caring person. We have yet to hear a negative regarding Howard’s training skills. We are fortunate to be associated with Howard and will always continue to recommend him. 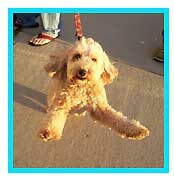 Howard is our first referral for pet training." "Thank you for all that you have done for us! You have given us the confidence to know we can teach our dog, the permission to be imperfect and the wisdom to do it better. We loved class and the stories of your own doggie relationships. You are an amazing teacher with such generosity, wisdom and patience. We are better for it!" "...We can’t thank you enough for the wonderful advice and the encouraging words – which we really needed! You had a wonderful way of engaging the whole family tonight and we really appreciate that. This is, after all, a family pet!" "Thank you for all your great training tips. People are really impressed with Rosie, especially your "Bang" trick, which took her less than 10 minutes to learn. Rosie is doing very well. She's a very happy and smart dog." "I certainly got a ton out of our private lessons and I wouldn't trade them for the world. They were exactly what I needed at that time." 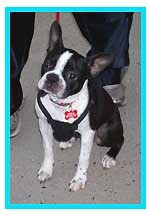 "Maggie is now 27 pounds and still growing...she is taller and longer!! She is still a little springboard – bouncing and jumping all over the place. I have taught her how to fetch...a Frisbee and a ball. She is doing great! Thanks for all your help!!" "Lucy and I thank you so much for everything you have taught us. It is such a treat to see how far we’ve both come from that fearful first meeting… It makes me sad that this is the last class. Yet, we have so much information, lessons and learning to take with us… Yes, it’s true, “Puppy kisses are good for the soul” and you have helped Lucy and I to find the truth of that." "I was at wits’ end until I hired Howard Weinstein for a one-hour session. He sold me his book Puppy Kisses at the end of the session. After three days with my dog Sandy, using Howard's techniques and lessons in his book, Sandy and I are understanding each other and enjoying a wonderful life together. I highly recommend this book for anyone trying to train their dog. " "We cannot thank you enough for your invaluable help and expertise with Rufus." "We would not be in this wonderful place had you not been there. Many thanks." "We want to thank you so much for all your wonderful help with Sasha’s training… He is so good, he loves his long walks and loves the snow. He is following commands and he listens most of the time. Good luck with your new students. You are the best!" "Thanks for such an amazing class! We learned a lot and had so much fun! We will recommend to others!" "Thanks, Howard, for taking the time to teach us how to work with Kody. We learned something new with every one of your classes." "You do a terrific job of helping us with our pups. They really learn so much. We are truly pleased with Jacob’s adventures and classes… Also, we will recommend Day-One any chance we can." "You were such a great help to us with Gracie. She has learned so much and we just wanted you to know how much we appreciate all your help and advice." "My Sunny is more precious every day and is certainly a joy to say the least. I feel your help in getting him started made a world of difference." "Thank you for a wonderful class! We learned so much, and Nikki is doing a great job with all the new tricks! We find "Wait" to be extremely useful, and she is pretty good at it! Thank you again for so many great ideas." "Much to my amazement, we passed… and have been twice to the Pediatric Unit at Georgetown University Hospital. Jazz was born to do this work, I think. I am giving you the really short version of the odyssey to get where we are, but we are here now and it is going well. He just amazes me. We continue to visit Morningside Assisted Living through Pets on Wheels, too. Thank you so much..."
"Thanks, again, for a fun class... we both enjoyed it and made some nice friends." "Think of you often and are so grateful for all your help… Corona is improving every day."